More and more, mental illness is becoming a hot topic of conversation in television, in film, and in literature. Stereotypical images of straitjackets and unethical electroshock therapy procedures are being replaced by very real portrayals and personal accounts of mental illness. That’s why tv shows like Dexter, movies like The Silver Linings Playbook, and novels like The Perks of Being a Wallflower have such a large fan base. 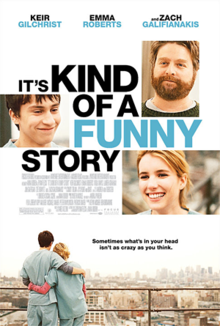 People can relate to the characters and the circumstances surrounding them, whether or not they are diagnosed with a mental illness. Craig Gilner, the 15-year-old narrator, like most teenagers, wants to succeed in life. For him, this means that he needs to get good grades to get into a good high school, to get accepted to a good college, to get a good job, to have a good lifestyle.Craig throws himself into studying to get accepted into Manhattan’s prestigious Executive Pre-Professional high school. Once accepted, however, the schoolwork generates too much pressure. Craig begins to stop eating, and then to stop sleeping, until one night Craig nearly kills himself. Instead, he checks himself into a mental hospital, and the book chronicles his time there, where he learns to deal with his anxiety, and what life is all about. What I loved most about this book is how, through Craig, the reader gets an insider’s view of a psychiatric hospital, all stereotypes aside, along with insight into the mind of someone recognizing that they have a mental illness, and the ways in which they go about coping with it. This quality comes from the fact that the novel was based on the author’s time spent in an adult psychiatric hospital. 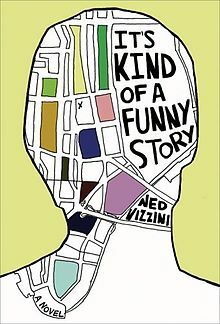 A week after being released from an adult psychiatric hospital in Park Slope, Brooklyn, Vizzini began writing this novel, capturing the raw essence of his experiences. Vizzini suffered from severe clinical depression, and struggled with it for years until he committed suicide on December 19, 2013. The richness of this story comes from the reader’s ability to relate to Craig. Whether or not you have a mental illness, everyone can relate to the inability to cope with peer pressure, and the journey of finding out who you are. Largely, this novel emphasizes the importance of accepting that mental illness is about being yourself and accepting who you are. For many people who suffer from a mental illness, this is a perfect description of how it can feel sometimes. In 2010, this novel was adapted to film. I actually watched the movie first, a taboo activity that I try to avoid at all costs, but I saw it at my then-boyfriend’s house and learned in the credits that it was a movie adaptation of a book. After reading the book, I admit that the movie took a few cinematic liberties, but what movie doesn’t??? Point is, they don’t change the raw honesty or rye humour of the novel, or the powerful message it tells. Check out the movie trailer here!!! What I Loved Most: The wry honesty of the narrator is so relatable for any teenager, or any person really, who has been overwhelmed by life. I find that everyone, to a degree, is a Craig Gilner. We all want to succeed at something, and all fear buckling under the pressure of the expectations we set for ourselves and believe others set for us. What I Loved Least: Nothing. That’s how much I loved this novel. Final Thoughts: Incredible novel. Just incredible. Whether you suffer from a mental illness, know someone who does, or are simply looking to better understand how it can affect someone, this novel is a prime learning tool. Next up is Me and Earl and the Dying Girl for a novel set in another country!!! I saw the film, but didn’t realize it was originally a book. Very sad about the author. Great review, though; I’m going to find the book now!